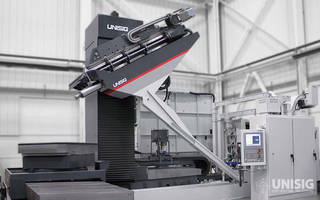 Spindle Tooling System features 4 ball tracks. 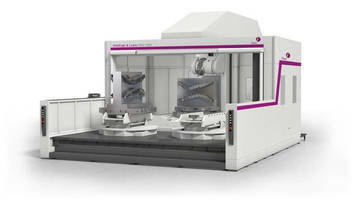 Capable of 38,000 rpm, 63 mm Model KM4X63™ features maximumÃ‚- bending moment of 1,548 lb-ft and, depending on machine, clamping force of 8,093–13,038 lb. 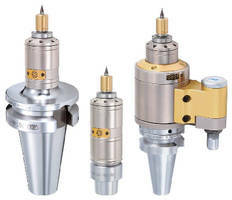 Due to its inherently balanced design, product achieves out-of-the-box spindle speeds 30% greater than HSK, and nearly twice that of comparably-sized polygon-style toolholders. 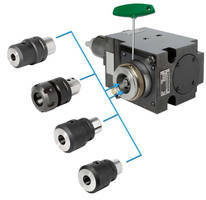 Air Power Spindle rotates up to 120,000 rpm. High-Speed Spindles are engineered for unlimited duty cycle. Coolant-Through-Spindle System retrofits on Fadal VMCs. 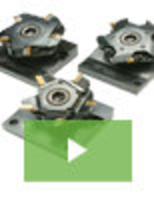 Submersible Rotary Indexing Spindle is suited for EDM. Tool Presetters have multi-function, digital readouts. Spindle Systems feature integral AC motors.